By Megan Graham . Published on February 05, 2019. In just the last few weeks, a number of shops—including Johannes Leonardo, O'Keefe Reinhard & Paul and Richard Attias & Associates—have made that move. WPP-backed shop Johannes Leonardo quietly reduced the world's largest holding company's stake in the agency from 49 percent to 25 percent at the end of last year, according to people familiar with the matter. Last week, WPP said it agreed to sell its 49 percent stake in global communication advisory firm Richard Attias & Associates. And similarly without fanfare, Chicago-based OKRP late last year regained its independence from Interpublic Group of Cos., which had held a minority stake in the shop. There seems to be no single reason why buybacks are occurring now, though they are coming at a time when more holding companies are drawing more individual shops into holding company "solutions" for marketers. Johannes Leonardo declined to comment on buying back more of its stake from WPP, which took a minority share in 2007 at the time of the shop's founding by former Saatchi & Saatchi Executive Creative Directors Jan Jacobs and Leo Premutico. At the time, Jacobs told Ad Age "It was very important to us that we're in control of its direction, because we have beliefs we want to put out there." WPP also declined to comment. For OKRP, it was mainly a matter of the fact that the agency is now seeing healthy growth, thanks to the financial boost and access to resources and a global network that IPG offered it as a startup. President Nick Paul said it was the right time on both sides. "I feel like the risk profile that you can take as an independent is something that matches what we want today, versus being part of a holding company," he says. He said the relationship with IPG gave the shop a leg up in new business pitches and was crucial when it came to connections and other advice. That doesn't mean, though, that the shop wouldn't consider another relationship in the future. Paul said if IPG came knocking on its door someday with a similar leadership structure, the shop would be all-ears. "Could something take place in the future? Absolutely," he says. But for now, "We're newly 100 percent independent, and we're going to enjoy that and probably learn from it as well." "OKRP has been a terrific partner to us and our shared clients for the last few years. We'll continue to work together and are proud of the small part we had to play in their success," says IPG's Philippe Krakowsky, its chief strategy and talent officer and chairman and CEO of IPG Mediabrands. As for Richard Attias, WPP's statement said the sale was "in line with its stated objective of simplifying its offering and focusing on its core business." CEO Mark Read has not been shy in recent months about simplifying a holding company that has become "too unwieldy, with too much duplication." Yet for all the buzz around indies, a recent joint survey by SoDa: The Digital Society and Forrester Research, finds them declining in popularity with marketers—at least in the digital arena. 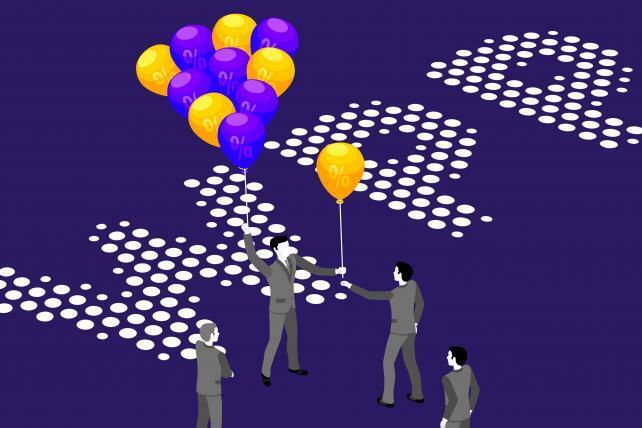 The survey, conducted in 2018 and 2019 with 400 global marketing leaders and agency executives, found that in 2017, 61 percent of marketers said they worked with independent agencies for digital marketing initiatives. In 2018, that figure dropped to 39 percent. "It used to be that independent was code for creative—they make their own decisions, they're much more autonomous and they're free to make the business decisions and creative decisions that are in the best interests of their clients and the work they produce," says Forrester analyst Jay Pattisall. "That's the old world, and today I feel like that's a little bit different. I don't think independent is code for creative anymore, and in fact you could argue that it's a situation where there are fewer resources, certainly compared to technology capabilities, tech stacks, data capabilities you find in the larger agencies." Pattisall says it's difficult, then, to define the benefit of independent agencies. "We're more autonomous and free to make better decisions for our clients' is a biased argument; it's just as biased as the holding company agencies saying [independent shops] are too small and they have absolutely no sway in the marketplace," Pattisall says. "It's really not a black-and-white situation. In the past I think the proof was in the work, in the quality of the creative. But today, marketers needs are so set on execution and executional capabilities, that the quality in the creative often gets lost."